Opening times: 7 – 9 p.m.
Take your time to experience this two-acre mature garden surrounding the old vicarage (not open to the public). 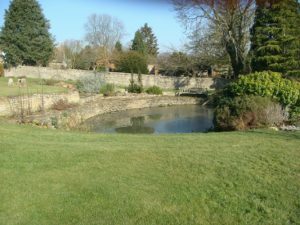 The garden features an alpine house with raised alpine beds, stunning water features and natural ponds with views over open countryside. 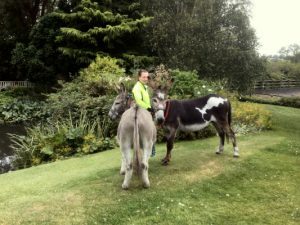 This year you can also meet the rare breed hens and two rescue donkeys! 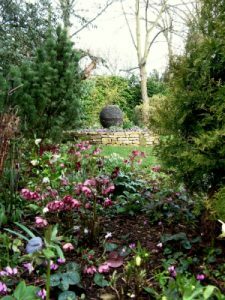 2018 marks the tenth year of this garden’s opening in aid of Cransley Hospice, the garden has had successful openings for the past nine years raising over £40,000. A variety of local crafts, plants and preserves will be available for sale. Admission is £8 per adult and £5 per child under 10 – this includes a glass of wine and slice of gateau plus live entertainment. Advanced booking essential by calling 01536 452423.